Divorce: Everything you need to know & 5 Tips to fix things! Being faced with the realization that your marriage might be coming to an end is crushing. Not only that, it fills you with dread and uncertainties. Should you throw everything you’ve built together away? What will happen to your family, your children? Is there no going back? Do you even want to fix things? Your head feels like a whirlwind of questions so of course you’re feeling overwhelmed and sick to your stomach. But don’t worry. 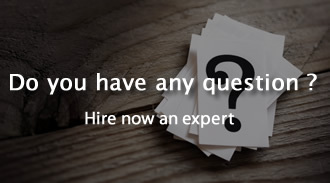 We are here to help you to understand the situation in order to know what solutions are available to you, we will help you explore what you’re feeling and what you really want, and we will help you to know what to expect as the story unfolds. Divorce can be avoided, if you’re willing to put forth the effort, and in this article you’ll learn what needs to be done. People often feel very alone when these situations arise because they’re lost, confused, and sometimes they don’t want to open up to their loved ones about it for a plethora of reasons. A lot of people just put their heads down and try to brave the storm without doing anything to stop it so I have to say, I congratulate you. You have taken the time to start doing research on your options so that you may make an educated decision and take control of your life. As I always say, anything is possible in love, as long as you’re willing to do the work! You’ve found yourself at a crossroads. You may be contemplating asking for a divorce from your partner, or perhaps you two have already begun talking about the possibility and you’re not sure if you want to do that or not. Of course initially you don’t want to divorce; just the word strikes panic in your stomach… But after a bit of time passes and you realize that you’re unhappy in your relationship with your spouse, you start to toy with the idea. Today we have a tendency to gravitate towards quick fixes, and the same goes for many marriages. I have seen so many couples separate or divorce because of things that could have been so easily avoided. We get tired, we get frustrated, and we give up. The saddest part is that so many people regret the divorce and end up having to work extra hard to restore the relationship with their ex. It’s not the end of the world, and everything is possible, but sometimes all that pain is easily avoidable. Avoiding rushed decisions will ensure that you don’t make a decision that you regret for the rest of your life! Always remember: we are here to help and if you need some guidance during this difficult time, don’t hesitate to reach out to us here or by leaving a comment below. We would be more than happy to personally reply to you. 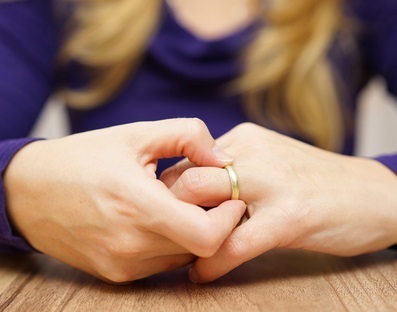 What are the signs you’re on the brink of divorce? Every single relationship has its ups and downs so of course you will encounter periods of difficulty. The success of a relationship doesn’t depend on the amount of challenges; it depends on you and your partner’s ability to overcome these obstacles together. There is no such thing as a perfect relationship, but with patience and perseverance you two can find what works best for you. The divorce rate in America is steadily increasing, and couples are having more and more trouble finding balance and happiness together. Our lives are overflowing with responsibilities, stressors, and sometimes we feel like we just don’t have time to deal with the challenges in our relationships. Unfortunately, the relationship gets put on the backburner and the problems that could be so easily avoided end up drowning the entire relationship. I am about to outline common issues in relationships that can lead couples down the road towards divorce if left unresolved. The good news is that every single issue can be fixed, but proper communication and patience are imperative. – Not speaking: A lot of couples that are thinking about divorce begin doing so once they get to a point when they’re not even talking with their partner anymore. Do you remember how it was in the beginning when you two talked about everything? When things get complicated between two people, it’s not uncommon for them to just stop talking altogether because it’s just “easier.” You are tired of fighting, so why even begin conversation if you know where it’s going to lead? This type of thinking will lead a relationship towards disaster. – Constant arguments: Many people divorce a spouse when they feel like all they ever do is fight. They begin to feel that they’re incompatible or that they’re just different in every way. Of course it is possible that two people may evolve in completely different ways, but if you want to remain together you’ll need to work on communication and compromise. – Disconnect: The lack of connection to your partner is one of the biggest causes of divorce. It happens slowly over time, and the culprit is often failed communication. Complicity is one of the pillars of a solid relationship, but it requires maintenance. Sharing your experiences and emotions create a deeper level of intimacy, and when that begins to disappear, the relationship suffers greatly. 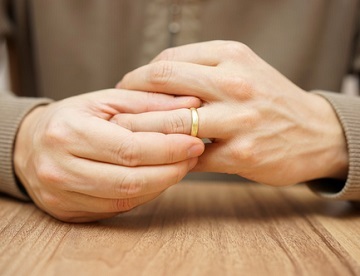 – Constant sadness: Depression can lead to divorce, perhaps more easily than you might think. If you’re always feeling unsatisfied, unappreciated, unwanted, or just generally unfulfilled, it’s normal that you would want out of an unfulfilling relationship. This typically happens when things slowly degenerate over time and you find yourself in a position of feeling too tired and heartbroken already to try to put the pieces back together. – Deep resentment: Divorce can happen when a deep cut hasn’t been or cannot be forgiven. Infidelity, lies, deception, or even withholding can lead a couple towards the end of their relationship. Each person has something that feels like a scale. If your side begins to feel much heavier than your partner’s side, and you don’t feel that things have been fair for you, resentment begins to grow. Bitterness is one of the most dangerous things that can arise in a relationship and the only way to fix it is by taking the time to clearly express what is felt to your partner, and in turn your partner must in essence prove to you that they truly understand and will do what needs to be done to make it up to you and set the scale back in balance. – Fantasizing about being alone: Sometimes a person can’t put their finger on what the issue is but they just know that they want to be alone. Sometimes it’s not even personal towards their partner; they just know I want to divorce so I can be alone. This is always tough because they don’t want to hurt their spouse, but they feel a need for freedom from the relationship. This can happen at any age and for a variety of reasons. People sometimes feel like they’ve lost themselves and they need to figure out a way to reconnect with themselves or to discover something new. Sometimes this can be fixed in a relationship by introducing new and exciting things. – No more common interests: Of course each partner will have their own personal hobbies and interests and no two people are identical, but when it feels like you don’t enjoy anything together at all, you may begin to question your relationship. Sharing is a huge part of healthy and successful marriages and if you no longer have anything in common, you can start to feel more and more disconnected. If this is coupled with other issues, the conversation about divorce begins to loom over your heads more and more. – Avoiding and finding distractions: Another thing that can lead to serious problems in a relationship is when people being filling up their schedule with things just to avoid spending time with their partner. It fosters resentment, frustrations and feelings of abandonment. It’s a quick fix for not having to face the issues at hand, but more often than not this results in an explosive fight where all the pent up and suppressed emotions come pouring forth. Problems must be dealt with when they arise… Otherwise they accumulate and take on larger proportions. There are so many reasons why you may be considering divorce, but it’s very important to take some time to really think about why you want this. As I said, spur of the moment decisions can lead to serious regret, and it’s up to you to gauge whether or not you want to fix the situation. Simply put, the most common reason why a person would stay in an unhappy marriage is fear. realize it. Once you’ve been in a relationship for so long, it’s hard to imagine being on your own again. We tend to forget that life existed before this relationship so of course it will continue even if a separation occurs. Another common reason is simply pride. You’ve built so much with this person, you’ve been through so much, and you’ve already put so much energy into this relationship… You feel it would be such a pity to let it all go. So even though you don’t have the type of relationship you want, you settle for it because it’s better than giving up on something you worked so hard for. Other common reasons why people would avoid divorce are financial constraints, and the effects it would have on those around you. When you rent or own property together, if you have shared debts, or if you feel that you wouldn’t be able to support yourself on your own, sometimes you choose to stay in an unhappy marriage. The effect of divorce on children is vast, and I will expand on that in a moment. There are so many things to take into consideration when you think about divorcing your partner, and many people are actually deterred from going through with it when they think about all it entails. While I am an advocate of doing everything in your power to save your marriage, I want to insist on the important of being really honest with yourself and determining whether or not you want things to work out. I’m not going to sugar coat it; saving a marriage is a lot of work so if your heart is not in it, it’s not going to happen. Similarly, you and your partner both need to be on the same page because this is going to be a team effort. It doesn’t work if only one partner is doing all the work to fix the situation. As I mentioned above, there is a lot to think about if you’re going to go through with a divorce. I am not trying to scare you into staying or leaving, but I want you to be fully aware of everything these two options entail so that you don’t end up regretting your decision. It’s a long process whether you want to restore your relationship or if you want to divorce, but as always we are here to help. Don’t hesitate to leave us a comment and we’d be more than happy to personally guide you through this situation. So let’s take a look at what to keep in mind when deciding whether or not you want to fight for this relationship! Are you willing to make changes? As I’m sure you have understood, the biggest thing right now is determining whether or not you’re willing to make the necessary changes in order for your relationship to work. Something obviously must change, and it’s not going to be a walk in the park either. That said, nothing is impossible, and if you’ve got the drive, you can work miracles! It’s imperative that you take the time to contemplate what went wrong and analyze the situation, but I’m sure you already know that. That’s why you’re on our site! Take time by yourself at first to really think about the situation, what you’re dissatisfied with, and what you want. Write it out in a list, and then focus on coming up with realistic solutions. Write those down as well. The next step is asking your partner to do the same. If tensions are high, wait for a moment when you two are able to have a sincere, calm conversation to bring this up. Be careful to not present this in an aggressive way! Pay attention to your language. The difference is pretty obvious, huh. Once you’ve both written down what needs work, sit down together and discuss solutions. Practice implementing these solutions in your relationship on a daily basis, while making sure each person can see that the other is making an effort. I thought this quote was great because it reminds us that we are in control of how we handle each situation and how much energy we give to feelings that cause us pain and block us from moving forward. So, although this situation is extremely taxing and challenging, if you allow it to control your life and make you spiral into depression, you’re not going to make positive changes. Divorce of not: Can you forgive? Another honest question that you must ask yourself is whether or not you can forgive your partner if they’ve done something that has brought you to this point. 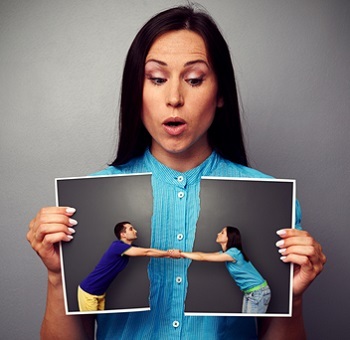 Divorces often happen because of unresolved issues, so if you’re going to repair your relationship you’ll have to sincerely forgive your partner for their mistake(s). Holding grudges, and/or constantly bringing up what your partner did will only create a larger gap between you. If you’re feeling really stuck, marriage counselors and professionals like ourselves are there to lend a helping hand. Divorce statistics keep rising, and one of the main reasons is that people are unable to let go of things and focus on the future. If you choose to make it work with your partner, you have to do so wholeheartedly and learn to leave the past in the past. Allowing yourselves to have a clean slate can do wonders for your peace of mind and for your overall happiness in the relationship. A tool for doing this is taking time to gather your thoughts on the subject and then having one, clear conversation about it with your partner. Tell them what you’re having trouble with, and come up with some solutions. If you want it to be constructive, don’t present it as an attack. Hopefully your partner will be receptive and sincerely make an effort to make up for the wrongdoing and ease your mind. If your partner is able to do this, make sure that you are receptive. You can also think of it as positive reinforcement. If your partner is making the effort but you are not receptive or you are never satisfied, they could begin to lose faith as well. Successful relationships involve the two partners making each other feel safe and loved. If there isn’t an inviting atmosphere, a person has a much harder time sharing something important to them. If you’ve made your decision and you’re gearing up for divorce, it’s important to know what awaits. The emotional aspect will be substantial, but don’t forget that the legal side can be just as draining – mentally and financially. Divorce can make things ugly very quickly and create huge divides in the family, so when you begin the process, it’s important to keep things respectful and fair. To illustrate my point, I know a couple that filed for divorce 7 years ago, and the process still is not complete. As if the situation wasn’t hard enough already, I saw something that made me feel sick to my stomach… As this is a very wealthy family, in an attempt to milk the situation for as much money as possible, the lawyer started to create problems and investigate “issues” that weren’t even part of the initial problem. The lawyer is trying to dig up secrets and illegal actions committed by the spouse so that “their client” can get more money. Problem is, the client doesn’t really want more money; they just want this to end. The result is that the divorce is taking on a massive scale where the spouse that it now being investigated is trying to sick their kids on the lawyer’s client. So now the kids are being used as leverage, and it’s just getting completely out of control. I am not saying that this will happen to you of course, but I want to bring your attention to the importance of hiring a good and respectful lawyer that will actually help you to preserve the integrity of your family; namely if you have children. It’s also important to note that divorce costs a huge amount of money and can sometimes last for a very long time. Of course some divorces happen relatively painlessly, but in order for that to be the case, both you and your partner must be cordial to one another. An incredible amount of stress can result from these things so make sure that you do your part to maintain peace. On top of remaining cordial and respectful with your spouse, you must make sure you set some time aside to take care of yourself. Even just a bit of meditation, talking to loved ones, a run, or some physical exercise can help alleviate the stress substantially. People are there to support you so allow them to offer you a shoulder to lean on. I briefly mentioned how children can be emotionally damaged when divorces happen, but I really wanted to take a moment to expand on the importance of remaining aware of how they are experiencing the situation. Oftentimes, when a person finds themselves in the middle of a divorce they become so emotionally overwhelmed that they don’t realize that they still need to remain an example for their children. Children of divorce can suffer long lasting effects if they are not handled with care. Of course there are plenty of instances in which children get through the divorce of their parents relatively unscathed, but it’s up to you to ensure that that happens. As I said, you are their example so you must protect them. Keep in mind that in their future, your behavior with your spouse can serve as what they see as familiar and normal. If you and your partner are at each other’s throats in front of your children, chances are that in the future they will see this behavior as the norm when it comes to relationships. Perhaps it will be on a much smaller scale, but parents sometimes don’t realize the ramifications of their behavior and how it remains in their children. Many times when people divorce with children, they end up venting to their kids without realizing the effect it has on them. They can subconsciously (or consciously) turn their kids against their spouse, and break very important bonds. No matter how angry you are with your spouse and with the situation, your children are more important than pride. Venting to your children can give rise to resentment in them towards you and towards your spouse, and it can lead to further separation. Perhaps you have found this article in an attempt to stop your divorce. You know that it’s looming over your heads and you’re looking for a way to undo the damage that’s been done and restore the love and complicity between you and your significant other. As long as you’re willing to make changes and improvements, and practice forgiveness, there is hope for saving your marriage! Because the situation has already reached such a critical point, it would be ideal to get in contact with us for one on one coaching. We can help you navigate the murky waters of all of these tensions and emotions, and help you reach a place with your partner in which you are once again a team focused on moving forward together. Each situation is completely unique, so personalized guidance ensures that you waste none of your precious time, especially because time is of the essence right now. To give you a better idea of what needs to start happening, I’ve compiled some of the most important things to do, and some of the most important things to avoid doing at all costs! One of the most important things that need to take place if you want to repair your relationship is forgiveness. I don’t just mean forgiving your partner if they’ve betrayed you or hurt you, I mean you must also forgive yourself. Many people don’t realize that they blame themselves and resent their role in the way things are. Or they assume responsibility for the problem because subconsciously it makes it easier to accept. If you are the root of the problem, you are also in control of changing things. They think, “why didn’t I do this, why didn’t I do that… If I had done this differently we wouldn’t be in this situation…” It’s a very natural tendency for humans to come up with explanations for something even if it’s not rational. It helps us to understand, which leads to a form of closure, which in turn helps us to move forward. Of course forgiving your spouse must take place if you want things to move forward, but it has to happen in unison with self-forgiveness. Look deep inside of yourself and determine whether or not you are experiencing any resentment towards yourself. Finding inner peace will be a crucial part of putting the pieces back together. A lot of people hold on to grudges and don’t forgive because they don’t want their partner to think that what they did was OK. The truth is that forgiveness is not about that; it’s about allowing yourself to feel emotional freedom. – Communication: Of course this is the biggest thing that will help divorce stop from looming over your heads, but only when it’s not too late. As you’ve understood, communication is the most important element of fixing a problem. Remaining calm, fostering a safe environment in which both partners feel comfortable enough to share, and not letting things accumulate and take on larger proportions is key. Your partner can’t read your mind and the same thing is true the other way around, so if you don’t communicate, how can you know what needs work and how to fix it? – Taking care of your personal interests: It is not uncommon for people to lose sight of themselves in a relationship, and when things start to go sour, it’s not uncommon for them to fall into a depression and subsequently make matters worse by making no effort to improve. A simple way to remedy this is by making sure you do things that make you happy and spend time with people you love. Isolating yourself or allowing yourself to become idle make you an easy target for depression. – Make an action plan: Instead of assuming the role of the victim (even if you really feel that you are,) put your energy into taking matters into your own hands. Stopping a divorce requires serious proactivity and improvement. Identify your flaws and work out solutions and stick to these solutions! Be proud, love yourself and focus on the strong points of your marriage. Don’t hesitate to talk about these assets to your spouse and remind them that not everything is bad. Positivity and focus on the silver linings make an enormous difference. – Appreciation: Though tensions have been running high these days, take some time to show your spouse that you truly do appreciate them and want things to work. Actions speak louder than words, so don’t hesitate to do something nice for them. It can even be a little thing like making them fresh coffee in the morning before work, or leaving a sweet note for them in their car, and showing gratitude for the things they’ve done. Though you’re upset, don’t like pride rule the situation. – Put your best foot forward: As I mentioned above, don’t let laziness or depression run you down. Instead, hit the gym and make yourself feel attractive and confident. When you feel good in your own skin, you attract others, and right now we definitely want to pull your spouse back in. 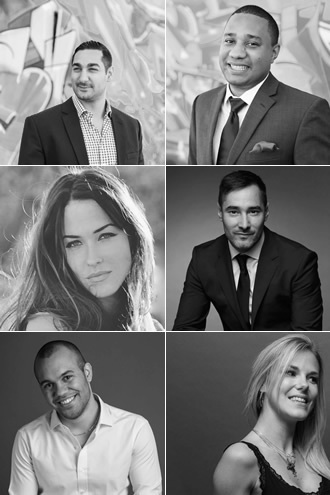 – Believe in being a team: Understand the skills required for functioning relationships. Communication, compromise, making each other feel safe, helping each other reach their full potential, not allowing anger to suffocate your bond, and focusing on the positive so that it may become even more present. Devorce can be avoided when two people see each other as a partner instead of a competitor. To make this section very simple, I can tell you that the most important thing to avoid when trying to stop a divorce is anything and everything that resembles an attack. Of course you are able to voice your opinion, especially when you’re not ok with something, but your presentation is paramount. I discussed that in an earlier section of this article, so now I want to bring your attention to the most detrimental behavior you could possibly have in this situation. When you want to repair a relationship or stop a divorse, avoid any type of threat, blackmail, or revenge. These things are extremely unhealthy in relationships, and their effect is multiplied during such fragile times. It’s normal for your emotions to be running wild right now, but if you want things to improve you’ll need to keep things under control. Keeping your cool is going to serve you greatly and it’s going to serve as an example for your partner to do the same. Let your partner see your strength and resilience throughout such a challenging period. It’s good for them to see stability and bravery and it will help them to do the same. When you’re both calm, it becomes considerably easier to discuss the game plan. Similarly, don’t ever shut your partner out. I often see people ignore or avoid each other when they are upset but believe me, nothing good comes from this. It’s a childish reaction and it will do nothing but cause more resentment. 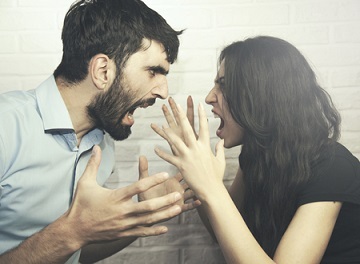 Sometimes a person thinks that if they ignore their partner they’ll want to talk to them more, but when an entire marriage is on the line, it’s smarter to engage in calm and collected conversation. Another important thing to remember is that nothing good comes from suffocating your ex or blowing up their phone. You must let them breathe and they shouldn’t be feeling any pressure from you. Is it possible to get back your ex after a divorce? So perhaps you’ve already divorced from your husband or from your wife, but you regret the decision to separate. You miss being together and you wish that things didn’t end the way that they did. Many people come to us asking if it’s too late to get back together with ex husband or their ex wife. They wonder if the damage has been done or if there is still a glimmer of hope. It’s absolutely possible to get back together with your ex even after a divorce. It’s not going to be a piece of cake, but in love everything is possible. The important thing to keep in mind is that change is going to be required. There is a reason why you divorced, so if you go back and have the same exact relationship, you’ll most likely end up in the same situation as today. There are of course various steps and actions that need to take place, but they will depend on the dynamic between you and the person you love. Don’t panic, help is on the way! No matter what the situation is, you have to remain calm, remain in control of your life and of your happiness, and practice patience and perseverance! Your actions will depend on your situation, so below you will find some outlines to help you get started with the process of getting your ex back! Every situation will require that you do one very important thing: Self Improvement. 1. It is the best way to heal and to restore happiness and peace in your life. Feeling good about yourself increases your self-confidence. Higher self esteem leads to more energy and better connections with people (your ex included! 2. It catches your ex’s attention by reminding them of the person they fell in love with. Throughout the course of your relationship perhaps you lost touch with yourself a bit or maybe even let yourself go. It’s not uncommon for people to switch their focus to the relationship and stop doing the things they were so passionate about. Chances are your partner was very much attracted to your passion as well, so bring it back! 3. Becoming the best version of yourself strikes a range of emotions in your ex. If they see you feeling amazing and living life to the fullest, they could become jealous of those around you and start to wish they were included as well, or they could start to ponder what it would be like to share so much with you. In any case, a seed of doubt becomes planted in their mind! Remaining on good terms with your ex makes things considerably easier when you want them back! Whether you’re still friends or you’re just nice to one another, if you want ex husband back or your ex wife back, you’ll have to switch your focus from friendliness to seduction. Being on good terms with an ex spouse is the hardest part, so if that’s already the case for you, your work will be much easier! Self-improvement plays a big role in this because it directly affects your self confidence, which is needed in order to seduce your ex. If you’re looking for more detailed advice on how to flirt with your ex and attract them back, read this right away! To paraphrase, very subtle seduction techniques must be used at the beginning. A little bit of tactility and direct eye contact at first… but just enough to make your ex wonder if you’re perhaps interested in them. Make sure you always look your best and wear things you feel confident in. Offer to meet up over coffee and be very warm and inviting. Be careful though; do not every seem desperate or needy, and there is no need to play a role. Wear a genuine smile and talk about the improvements in your life. As time goes on, you can make your flirtation successively more noticeable. Again, you can find detailed guidelines on that in the article I just referenced! Make sure you do not bring up the breakup and keep your focus on the present and the future. It’s important that your ex sees that you aren’t living in the past. The divorce rate has been steadily increasing and sadly so has the amount of separated couples that no longer speak. If you have found yourself in this situation but you still want your ex back, the first thing to do is reestablish respect. If you two had been fighting and attacking one another, your ex may not want to be in contact with you. The smartest thing to do in this situation is to give them some space and time. You want things to cool down before you come back into the picture. Not only does time help calm things down, it helps both of you put things into perspective. Maybe your ex will not be so mad about something anymore, or perhaps you will realize that you crossed a line. A good way to get back in touch is by writing a letter. It’s the least aggressive way to reach out when tensions had been high. In this letter you can write what you’ve come to realize about the separation (what went wrong, what you regret, and the fact that you care about this person and don’t want there to be such hostility between you.) At this point, don’t talk about wanting to get back together! It’s too early still. Instead, starting working on creating a comfortable atmosphere and little by little, when you feel that things have calmed down, you can suggest meeting up. For now, make sure you always look your best and share with your ex the improvements you’ve made in your life. Once you two are comfortable again, you can start switching your focus to seducing your ex. When your ex is in a new relationship but you want to get back together with them, it’s very important that you don’t drop off the radar. People often dive into rebound relationships after a huge separation, and though it hurts, remember that these types of relationships are rarely long lasting. Your ex is most likely trying to numb the pain of the breakup and has settled for a quick fix. The novelty of a new relationship is a welcome distraction for those suffering from heartache, but the chances of the new partner being the “perfect match” are very low. The trick is to ensure that there is mutual respect and cordiality between you and your ex. You can try the letter technique, and see them for a coffee sometimes. Little by little you’ll want to plant a seed of doubt in their mind about separating from you. You’ve got to be very subtle though; you don’t want them to pick up on what you’re doing. Talk about the improvements in your life, look amazing, be in a great mood, and after a few meet ups, begin to flirt. Give your ex sincere compliments, and begin little by little, once you know you’ve got their attention with your flirting, you can begin to introduce the separation into your conversations by telling your ex what you realized went wrong, and what actions could have prevented this outcome. This is a very delicate moment so I highly suggest reaching out to us so we can guide you based on your situation! Divorce psychology: How to bounce back! Whether you get back together with your spouse or not, you’ll have to bounce back from the divorce and heal. In fact, it’s crucial that you focus on healing before you begin trying to get back together with your ex! Divorces cause serious pain and stress in a person, and it’s important to take care of yourself, and accept and understand the separation so that you may learn from mistakes in the future. Following a divorce a person can feel exhausted, embarrassed, angry, defeated, and run down. It’s perfectly normal, but it shouldn’t be allowed to last or to ruin your life. You are the only person in charge of your own happiness and there are ALWAYS two ways to look at a situation. You can start healing this very instant just by deciding to focus on the positive. For example, though it’s hard to believe right now, a divorce can lead to profound joy. How? Well, if you decide to get back together with your ex in the future, a divorce can serve as a wake up call to fix the issues in the relationship and can lead to a relationship that was even better than before. When you see the improvements you’ve both made as well as your perseverance and motivation to be together again, the bond is strengthened tenfold! If you don’t get back together with your ex it means that they weren’t the right match for you and now all the doors are open. You are free to find a new partner or to simply just have fun. When the time is right and if you want to, you will meet someone that is perfect for you, and you’ll be happy that you were in a position that made it possible! After you divorce, focus on rebuilding your self esteem by taking care of your body with healthy eating and exercise, your mind with meditation or yoga, your social circle by hanging out with loved ones, and your prospects by getting ahead at work and by focusing on your hobbies or projects. Fill your time with things that bring you joy, and the rest will fall into place. 5 Step Inner Beauty Makeover : Coach Karen Marshall helps you! I am not happy in my relationship ! How to react ?